If you have been the victim of personal injury due to the fault of another person or organisation, you will be entitled to compensation. Among other things, you will receive damages for the pain and suffering of your injuries and for any financial loss you have incurred, such as wage loss. There is a process you need to go through to get proper compensation. However, we find more and more that insurance companies tell people in your position that this is unnecessary. 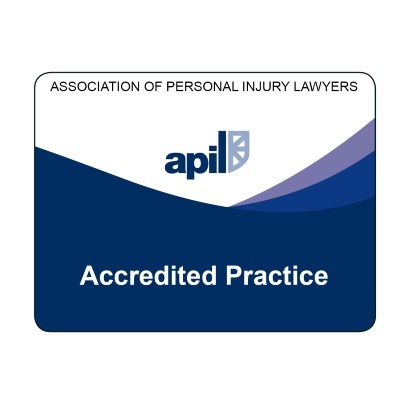 It is increasingly the case that injured persons are contacted directly by the insurers for the other person or organisation – with an offer to settle their claim there and then. In some cases, this involves a representative of the insurers “door-stepping” the injured person and virtually bullying them into agreeing. It is all too easy to fall into the trap of believing what is implied in the close attention these insurers pay to you: that they have your best interests at heart. Remember that the insurer’s principal duty is to their shareholders; not to you. Their desire to settle your claim speedily is to protect their own interests. Their primary concern is to avoid you getting the independent legal advice to which you are entitled. In doing so, their hope, often realised in our experience, is to minimise the amount of compensation you will receive. 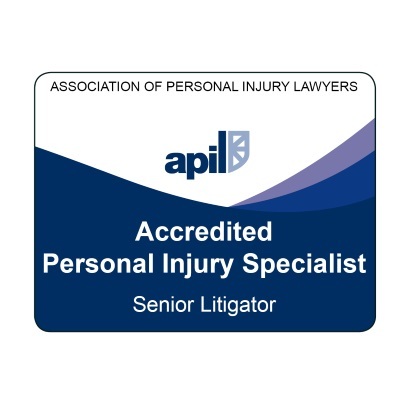 It is crucial that you speak to a legal specialist in personal injury claims before finalising your claim. A solicitor with expertise in personal injury law will be able to advise you on whether you have been offered a realistic settlement. Research has shown that, in the overwhelming majority of situations, you will be entitled to a far greater level of compensation than the insurers offer you as a quick ‘buy-off’ of your claim. 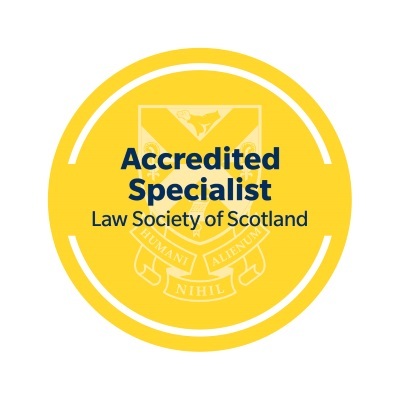 If you think you have been injured in an accident due to the negligence of another and could be entitled to compensation, it is vital that you get advice from a solicitor specialising in personal injury claims. Do not be tempted to settle your claim directly with the insurers. You will almost certainly be selling yourself short. For more information about this blog or any aspect of our accident and injury claims services, please call us on 01343 544077 or email Peter Brash and we will be delighted to help you. If you prefer, you can send us a Free Online Enquiry. All enquiries are free of charge and, in most of the successful cases with which we deal, our clients pay nothing for our services. 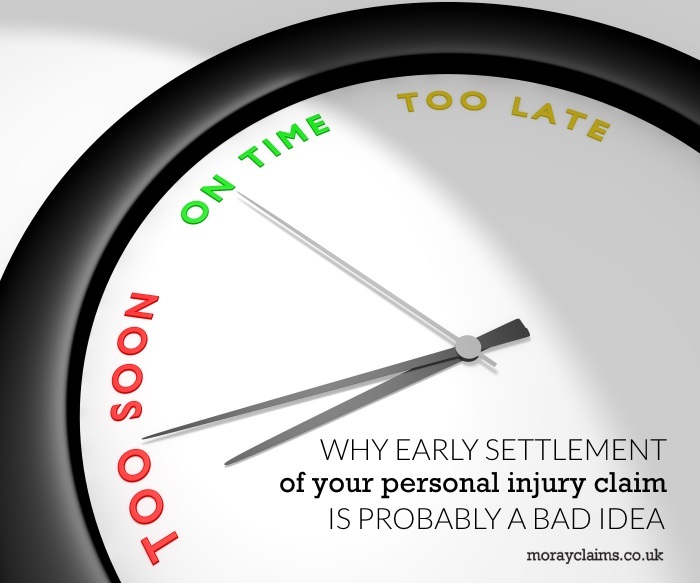 Early settlement of personal injury claims – bad news for everyone?